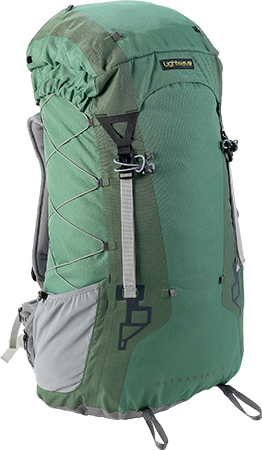 The Ultrahike is an ultra-lightweight, mid-volume backpack that is ideal for 3–7 day backpacking trips. 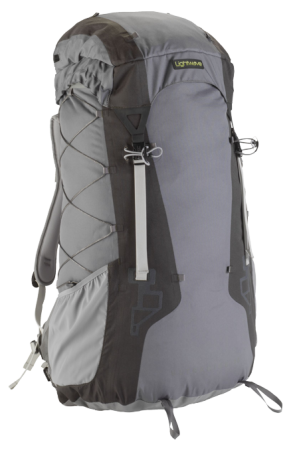 At 1.25 kg, the Ultrahike 60 is exceptionally light for a rucksack with such a comfortable carry, weighing 500–700 g less than most other backpacks with comparable back systems. It has a fixed back length, available in two sizes. The Ultrahike has a fixed (i.e. non-adjustable) back length, available in two sizes, M2 (50 cm) and M3 (55 cm). The size M2 fits people of height 5’6” to 5’11” (167–180 cm), whereas the longer M3 size suits people between 5’11” and 6’4” (180–193 cm). The top-tension straps at the top give some tolerance in the fit. People between 5’10” and 5’11” (178–180 cm) will probably find that both sizes fit them. The size and breadth of the wearer’s chest and shoulders will also affect the sizing.